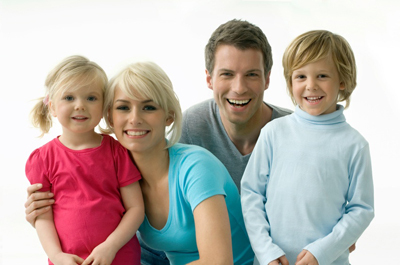 Welcome to Milburn's Auto's Finance Department, your auto loan and car lease resource. 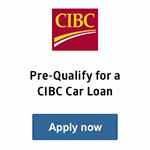 We are eager to provide financing for your new car. Check out our online car loan calculator for an instant car loan rate. Then, proceed to our online finance application. All types of credit, from good to bad, can qualify for an auto loan. No credit, no problem! We will work with you to secure a no credit car loan if your situation demands it. Milburn's Auto has strong relationships and is committed to finding you the perfect car loan company to suit your car finance needs. Milburn's offers financing or leasing options to assist its customers in the purchase of a vehicle. Our finance staff will work with you to get an affordable monthly payment approval with our many lending partners. Pre-approval for financing is available with our secure online finance application. At Milburn Auto Sales we are pleased to offer you the lowest possible interest rate on your next car, SUV, van or truck loan. We proudly serve Guelph, Cambridge, Kitchener, Milton, Waterloo, Hamilton, Brantford, Elora, Fergus and the Southern Ontario Region in Ontario. Are you interested in buying a used car, but you don't know exactly what type of car you need or want? If so, Milburn Auto Sales can help. We will be happy to sit down with you and discuss your needs and your budget in order to determine which vehicles in our inventory would be a good fit for your lifestyle. We also offer competitively rated car loans in Hamilton to our buyers, so if you are looking for one-stop-shopping you have come to the right place. In addition to our impressive inventory of high-quality cars and financing options, our knowledgeable mechanics will also be happy to perform important maintenance services that will keep your car in the best possible condition. Come visit our location and find out why our loyal customers prefer to come to us whenever they need a used car. Hamilton (2006 population 504,559; UA population 647,634; CMA population 692,911) is a port city in the Canadian province of Ontario. Conceived by George Hamilton when he purchased the Durand farm shortly after the War of 1812, Hamilton has become the centre of a densely populated and industrialized region at the west end of Lake Ontario known as the Golden Horseshoe. On January 1, 2001 the new City of Hamilton was formed through the amalgamation of the former city and the other constituent lower-tier municipalities of the Regional Municipality of Hamilton-Wentworth with the upper-tier regional government. Residents of the city are known as Hamiltonians. Since 1981, the metropolitan area has been listed as the ninth largest in Canada and the third largest in Ontario. Traditionally, the local economy has been led by the steel and heavy manufacturing industries. Within the last decade, there has been a shift towards the service sector, particularly health sciences. The Hamilton Health Sciences corporation employs nearly 10,000 staff and serves approximately 2.2 million people in the region. Hamilton is home to the Royal Botanical Gardens, the Canadian Warplane Heritage Museum, the Bruce Trail, McMaster University and Mohawk College (Largest skilled trades college in Ontario). The Canadian Football Hall of Fame can be found downtown right beside Hamilton City Hall and across town to the east, the Canadian Football League's Hamilton Tiger-Cats play at Ivor Wynne Stadium. The Erland Lee (Museum) Home (c. 1808) is a National Historic Site of Canada on the Canadian Register of Historic Places. [ An Ontario Historical Plaque in front of the Erland Lee Museum was erected by the province to commemorate the First Women's Institute's role in Ontario's heritage. Partly because of its diverse environment, numerous TV and film productions have been filmed in Hamilton, regulated by the Hamilton Film and Television Office. A growing arts and culture sector garnered media attention in a 2006 Globe and Mail news article, entitled "Go West, Young Artist," which focused on the growing art scene in Hamilton. The article highlighted local art galleries, recording studios and independent film production. From Wikipedia, the free encyclopedia.